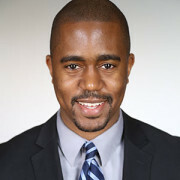 Johnny Graham is a 3rd year marketing PhD student and Future Faculty Fellow in the Fox School of Business at Temple University. His research interests primarily concern brand communities and co-created brand meaning in online environments. Johnny has several working papers and has given several invited talks involving these topics. Prior to joining the PhD program, Johnny earned a bachelor’s degree and MBA from the University of Maryland-College Park. His previous managerial experience comes from the consulting industry, as the co-founder of strategy consulting firm Graham & Peters.